It's not just in your best interest that we make our technical support tops in the broadcast industry. It's in our best interest too. After all, your advocacy to other potential System 5 users helps us grow. Count on us to do absolutely everything we can to make your experience, and your radio station, terrific. Put us to the test, and see that we're not only willing, but eager, to help. "One particularly good example of a powerful software package with excellent after-sales support is TuneTracker." If you shudder at the thought of a sales pitch, you can relax about calling us. At TuneTracker Systems, we're more interested in hearing about your operation and your needs than in pushing products at you. We'll go over your situation with you, find out what you hope to accomplish, and give you honest answers about our products' abilities to meet your needs. TuneTracker Systems is known and praised for its clear, friendly, and thorough documentation, which is distributed with the system in electronic format. A printed paper manual is also available. We regularly send out QuickTips containing ideas, tips, and tricks, to all our users. Hundreds of previous QuickTips are here online. If you are not presently receiving QuickTips by e-mail, and would like get them for awhile, please contact us. "I have NEVER had the kind of help on any purchase as I have enjoyed with you. If only all businesses operated this way. Our chatroom support is provided using a free program that lets you chat with other Command Center users as well as our support personnel when available. It includes file-sharing capability which our support staff can use to update you with the latest versions of files and utilities, and to help diagnose any issues that might arise. A large number of your fellow users are signed up for our TuneTracker e-mail list forum, which is an excellent free resource. Ask other TuneTracker System users for their suggestions and ideas. TuneTracker technical support staff also monitor this forum. TuneTracker Systems offers excellent full-day and half-day training seminars; a great way to rapidly learn the system right along with other members of your staff. We offer in-person and phone-based seminars, and the latter includes a free copy of TT Anywhere remote adminstration software, which allow us to manipulate your computer as we talk to you about how to perform various functions. Call for pricing and details, at 920-672-8244. We've prepared five broadcast layout diagrams, showing ways you can connect your TuneTracker System computer along with mixer, switcher, monitor, etc. They should help you brainstorm the perfect setup for your situation. For the low power stations who use our software, we are building up a support section especially for them, providing links to important resources of interest to low-power broadcasters. Visit our new LPFM Links page. "I have NEVER found a company that supported their product as well as you do and I have been in this business for many years." Purchasers of any new Command Center System 5 license get a full month of comprehensive telephone support free, starting from the day their system arrives. When your month is over, you can take advantage of continued telephone support using any of the plans below. Note that the same rates apply whether assistance is administered via telephone, or we connect to your system remotely using TT Anywhere. The free support month is for new licenses, not upgrades. Please respect our policies and rates when requesting telephone assistance. Regular Hours: Mon-Fri 8 a.m. to 5 p.m. Central Time, U.S. | After Hours:: Emergency rates always apply. Per-Incident Support Ala-carte support service during regular business hours. Paid per call, at the start of the call. $65 Have credit card ready when calling. If more than one issue is addressed during the call, $15 will be charged per additional issue. Network broadcasters must also purchase yearly prepaid support plan. (emergency Support) Call our support line and leave message requesting a callback. Paid per call, at the start of the call. $85 Have credit card ready when calling. Fee applies regardless of issue being addressed. If more than one issue is addressed during the call, $25 will be charged for each additional issue. Network broadcasters must also purchase yearly prepaid support plan. If calling without Gold Plan, or after-hours, please have credit card or Paypal account info ready. 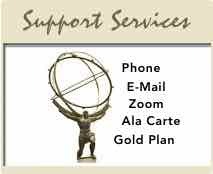 After-hours support calls are charged $85 per incident, regardless of reason for the call, or subscription to Gold Plan. Rates above do not apply to staff training. Ask about remote and in-person training seminars for you and your staff.